WASHINGTON — On the afternoon of Jan. 25, I returned to my apartment after receiving an email from you, Rob Manfred, the new commissioner of Major League Baseball. You addressed the present and the future of baseball, outlining some general and specific ideas on how you would change the game. “Another priority for me is to continue to modernize the game without interfering with its history and traditions,” you later added. That was where things went off the rails a bit. In an interview later that evening with Karl Ravech, one of the ways you suggested to “modernize the game” was by eliminating defensive shifts. While I know I’m not the first to point out why this is a poor idea, I have yet to see anyone illustrate the more fundamental concern that such a suggestion illustrates. The Sporting News’ Jesse Spector likened such a move to dictating a team’s batting order, while explaining that batting average on balls in play (BABIP) has remained steady even with the employment of shifts. In calling your idea absurd, ESPN’s Buster Olney illustrated many of the adjustments defenses have made over the years. To that end, in Ben Lindbergh’s Grantland article about the matter, he cites a statistic that shows bunts against the shift increased 88 percent last year over 2013, and 210 percent over two years ago. In other words, the offensive adjustments to those defensive adjustments are already taking place. Ask any major league player or coach and they’ll tell you that baseball is a game of adjustments. That’s why it takes years of fine tuning to progress through the minor leagues to reach the pinnacle of the sport. The very existence of “traditional” defense is one such adjustment. 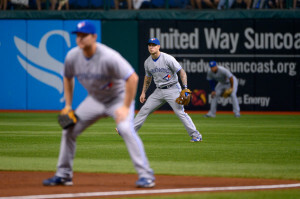 According to baseball historian John Thorn (as cited in The Dickson Baseball Dictionary), the shortstop position was created in the 1840s simply to help facilitate cutoff throws, acting at the time as a fourth outfielder. The position evolved over decades into the one we take for granted today, firmly entrenched between the second and third basemen. The problem with your suggestion lies less with the fact that you want to inject more offense into the game and more with your apparent lack of preparation and understanding of the sport which you now govern. I never thought I’d say this, but perhaps you should take a page out of outgoing Commissioner Bud Selig’s book. 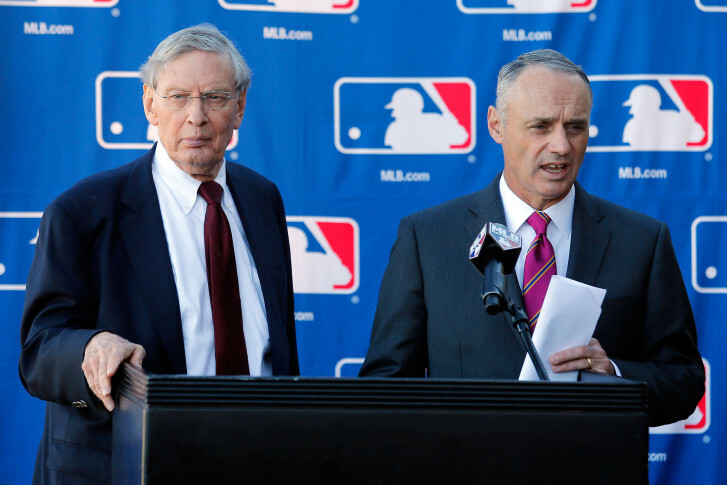 As you know, Selig’s enduring legacy will be a mixed bag. On one hand, he ushered in by far the most prosperous era in the game’s history. On the other hand, he mishandled both the steroid era and disputes between clubs, specifically the Nationals/Orioles regarding MASN and the A’s/Giants and their territorial rights. His biggest failure in both these areas stemmed from his tendency to drag his feet, to be ambivalent when moments demanded decisiveness. And yet, that’s exactly what you should be doing here. Before you rush to the rule book with a red pen, you should take a measured pause to consider what your actions mean. MLB is often slow to embrace change, arguably the slowest among its peers. But instituting a rule against shifting isn’t actually innovation — it’s reaction against innovation. It’s a refusal to adapt to the changing nature of the game. The correct thing to do is allow the players to make the adjustment. It’s especially troubling, Commissioner, that you don’t seem to understand these things, as they are as integral to baseball as 90-foot basepaths and a perfectly square diamond. You speak of not interfering with the game’s history and traditions, and yet you would alter one of its fundamental principles without studying its actual effects or taking time to think about what such a rule change would mean for the game. You are now in charge of the most unequal of any of our professional sports. With the loosest economic cap structure, baseball presents the most uneven playing field for its less prosperous clubs. And yet, parity is at an all-time high in the game, with 29 of the league’s 30 teams reaching the postseason this century (sorry, Toronto). This has only been made possible by innovative techniques and strategies being employed on and off the field, from the Moneyball Oakland A’s to the shift-minded Tampa Bay Rays and Milwaukee Brewers. In other words, the gulf between the haves and have-nots is only bridged due to the ingenuity of those operating on smaller budgets. Why would you aim to limit that ingenuity and expose your sport’s biggest flaw? The game continues to get smarter, attracting top minds from around the world. Executives like Cubs President of Baseball Operations Theo Epstein (much less Dodgers General Manager Farhan Zahidi) would never have been part of baseball a generation ago. Baseball’s the smartest game we’ve got. Its design — and those who function intelligently within it — is intrinsic to its brilliance. Don’t make it dumber.